The threat from the self-proclaimed Islamic State (ISIS) is growing more and more deadly in Marawi City, Philippines, where President Rodrigo Duterte has already declared martial law. 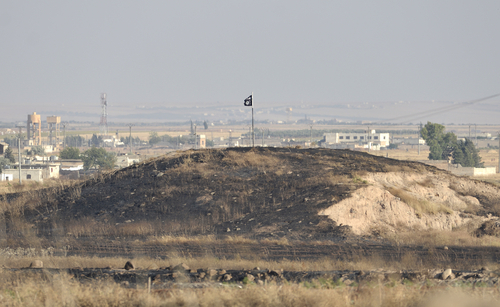 By some accounts, a group related to ISIS has “taken over” the city and even raised the organization’s infamous black flag. The Maute group, also known as the Islamic State of Lanao del Sur, has apparently burned down several hospitals, schools, and jails in Marawi City. The residents are currently evacuating, according to people sharing their experiences online. One Twitter user documented her exit from the city and expressed concerns about ISIS checkpoints. @DENNNerys Still evacuating, Den. But there are ISIS sa exit points ng Marawi. Prayers please. The extremist invasion, first reported last night, comes shortly after the suicide bombing at an Ariana Grande concert in Manchester. In that case, ISIS has claimed responsibility but the finding hasn’t been confirmed by investigators. While some are condemning Muslims in general, others are pointing out that this group doesn’t “represent Islam.” Still others are clarifying that the Maute group hasn’t been officially endorsed by ISIS. There is a lot of uncertainty surrounding these reports, but one thing is certain: this is a dangerous situation and lives are at risk. The hashtag #PrayForMarawi is already trending, but we know how well that has helped in the past. May 23, 2017 Hey, Look! We All Got the Same Results On Our Genetic Tests!